​Schedule an on-site consultation and estimate! Jordan Wells Paving: Asphalt Driveways, Parking Lots, Roads and Sealcoating Contractor Richmond, VA and Surrounding Areas. Jordan Wells Paving. We provide asphalt sealcoating services for clients in Richmond, VA and the surrounding areas including Ashland, Amelia, Chester, Chesterfield, Colonial Heights, Dinwiddie, Emporia, Farmville, Goochland, Hanover, Henrico, Hopewell, Midlothian, Mechanicsville, Richmond, Short Pump and Petersburg. For our Commercial clients sealcoating is followed by pavement marking, including adherence to ADA (American Disability Act) protocols. Please contact Jordan Wells Paving (804) 823-7644 to provide a complimentary on-site consultation and estimate! If you’re not 100% satisfied, be sure to let us know! We guarantee our product and will do our best to ensure that you are another satisfied customer! Why Sealcoat Asphalt Roads, Parking Lots and Driveways? Asphalt pavement in roads, parking lots, and driveways is a mix 95 % of stones and sand, held together by 5 % asphalt cement or black glue. Asphalt cement is hard at cooler temperatures so it needs to be manufactured at temperatures of 270 - 325 degrees and it can lose, depending on air temperature and distance from the asphalt plan to job site, 2 – 25 degrees before it’s laid. Once the temperature of asphalt gets to 220 the ability to get good compaction can’t be achieved because the glue has already started to hardened. When everything falls into place with temperature and time parameters met, the asphalt paved road will be a smooth relatively flat surface that wheels easily move on. Asphalt Pavement starts to Decay as soon as its laid. When Asphalt pavement is exposed to the outdoors it begins to decay or oxidize (molecules move to create tighter bonds with the stone in the asphalt mixture) which causes the pavement to lose flexibility, become stiffer and cause the black color to turn grey as the binder (black glue) wears away. UV rays of the Sun, water, frost heaving and high temperature all increase the rate of oxidization. 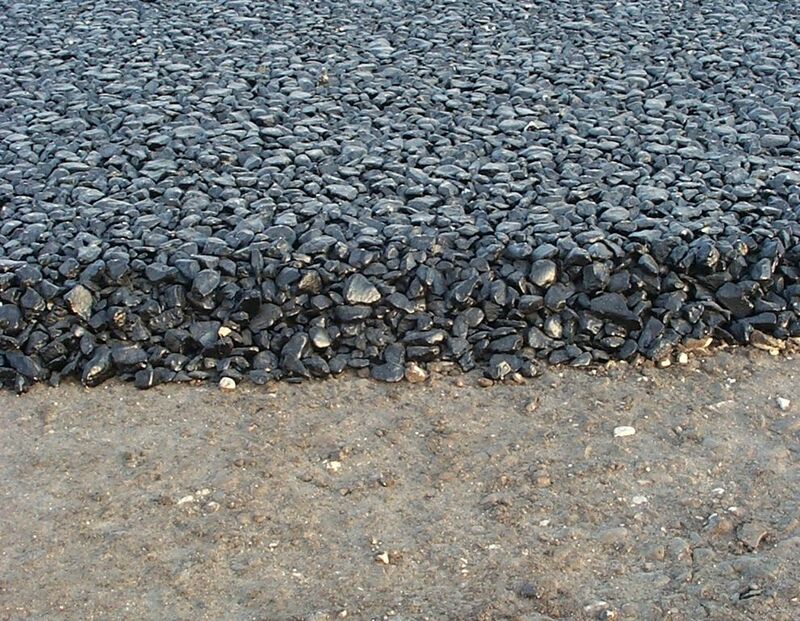 As the asphalt binder wears away, the stones are exposed allowing water to penetrate the base which will either drain it away (if built thick enough) or it will pool under the driveway. When winter comes, any standing water within the subbase will expand as it freezes ultimately causing a pothole to form. Sealcoating your driveway, roads, or parking lot can reduce the rate of oxidization down to a crawl. Normally an asphalt driveway depending on its environment will function anywhere from 5 to 15 years, but if maintained by sealcoating periodically and repairing any cracks, its lifespan can more than double. Warning! once asphalt pavement has oxidized (lost its flexibility) it can’t be totally restored by sealcoatings. There are many types of Sealants available to help protect asphalt roads, parking lots or driveways, and some are designed to work better under certain conditions. 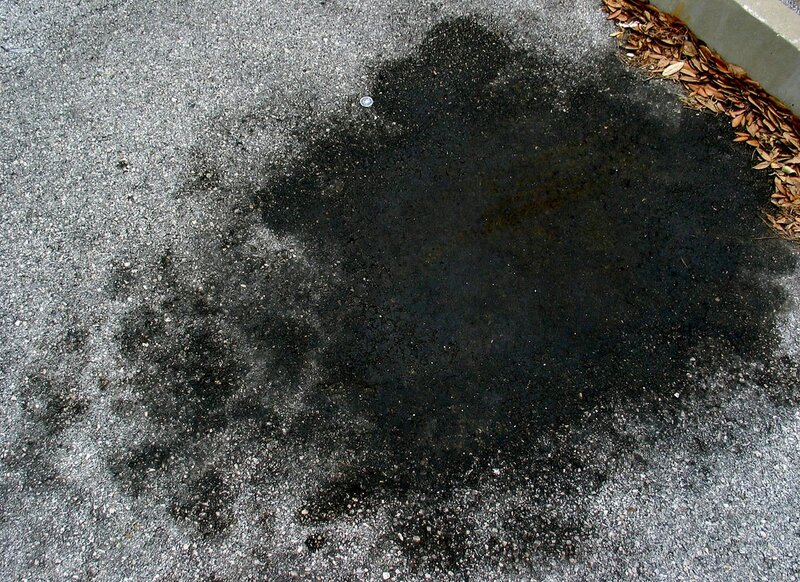 When a Jordan Wells inspector evaluates your asphalt road, parking lot or driveway, they will be able to suggest the best sealants for your application. Call Jordan Wells Paving (804) 823-7644 for a free consultation to suggest which asphalt sealcoat will work best for your road, parking lot and driveway. Inspection of the asphalt road, parking lot or driveway- marking areas of cracks, potholes, oil stains… to be repaired before the sealcoat application. The asphalt pavement needs to be thoroughly cleaned with broom, steel brushes, and power washer so the sealcoat will bond effectively. Repair all identified damage including using aggregate mix to fill potholes, and making sure oil spills are cleaned up using a primer agent if necessary. The Sealcoat should be applied at temperatures its manufacturer suggests. Do not apply sealcoat if rain is forecasted within the next 2 days. Although Asphalt is a solid substance at temperatures colder than 150 degrees, it can be milled while warm into very small droplets and mixed into water treated with an emulsifying agent that will keep the droplets separated within the water allowing it to be sprayed or rolled at colder temperatures onto asphalt pavement. Upon application, the water separates from the asphalt cement then evaporates leaving behind the asphalt cement and emulsifying agents. Thus, a protective coat of asphalt cement has been applied that will extend the lifespan of the pavement underneath and renew its black beauty. These sealers are thought environmentally friendly as compared to coal tar-based sealers because they are not as strong smelling (air pollution) which is better for people with allergies. Acrylic Sealcoats do not contain petroleum by products so they are considered more environmentally friendly. Mostly, acrylic sealcoats are derived from polymers and acrylic which ups their price by quite a bit but they provide years longer periods of protection. They are available in many colors, such as green that is generally used on tennis courts. Acrylic sealcoats are UV resistant, and highly durable under harsh environmental conditions. Coal tar sealer is the traditional sealer made from petroleum by products. It lays on top of the surface to protect and increase lifespan. Its fumes have a strong smell that can cause skin irritation (worse when applying in direct sunlight) until cured so very rarely will it be applied by non-professionals. Coal Tar sealcoat is well known for its affordability, tough coat, dark black color, and increased gas spill resistance. Our estimates will consider clients’ needs, desires, cost, longevity and appearance. We will give you the tools you need to decide the most cost effect and appropriate installation that will provide years of trouble free service for your property, and enhance its value. ​Visit the individual pages for more information about the services that we offer. Don't see what you need? Please don't hesitate to contact us with any questions about what we can do for you!